there were whole bunch of us looked fwd for this crabbie session and it has finally arrived! 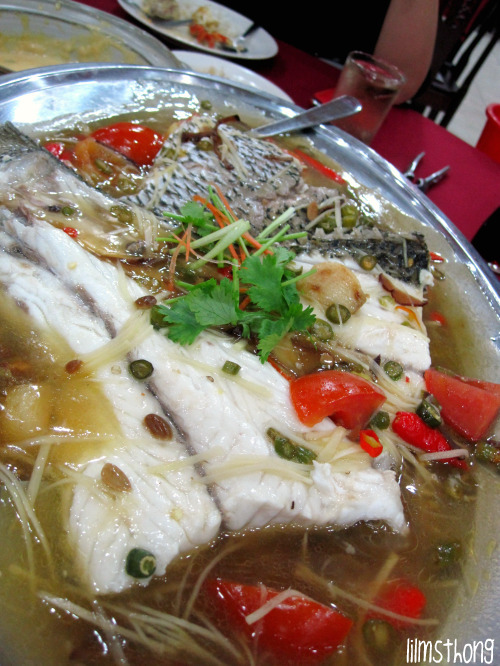 initially we wanted to try the ever famous Tak Fook Hong Kong Seafood Restaurant. but later on we realised that my colleague's mom and her god-mother opened a seafood restaurant as well, right in front of Tak Fook Hong Kong Seafood restaurant. 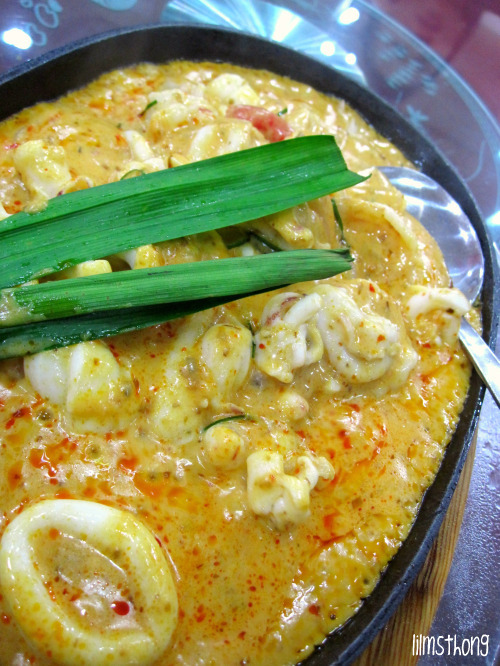 this is something sotong with shrimp. 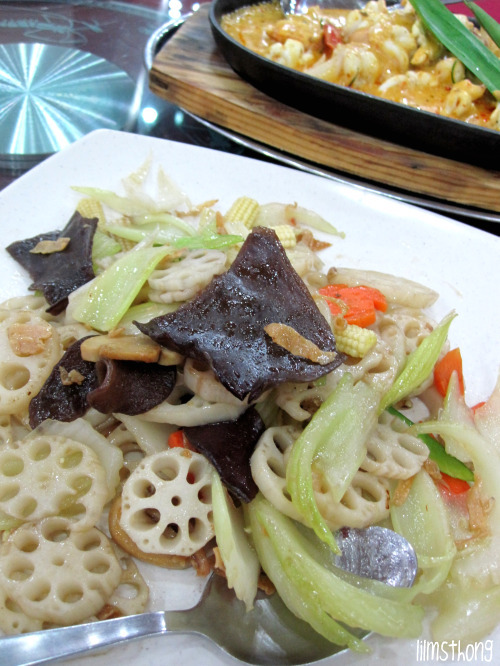 one of their special dish. i know it looked like curry but it is not! and the taste is freaking awsome! if u wanna order this, u can just print out this post and show them, "nah! i wan this!" this is a special dish also. this is pork with milk. ok. i forgot the dish name again. 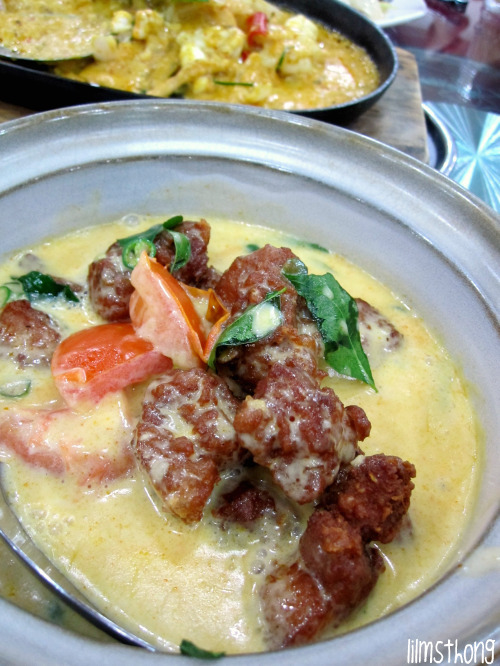 but this dish, it has pork, and it is cooked with milk. and it taste fabulous with Deep Fried Man Tou. when asked by the lady what crab we want, one of my colleague answered very quickly. 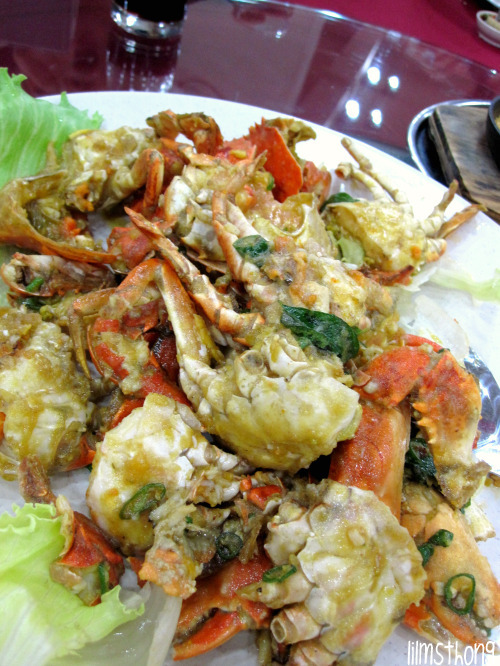 "salted egg crab! ".